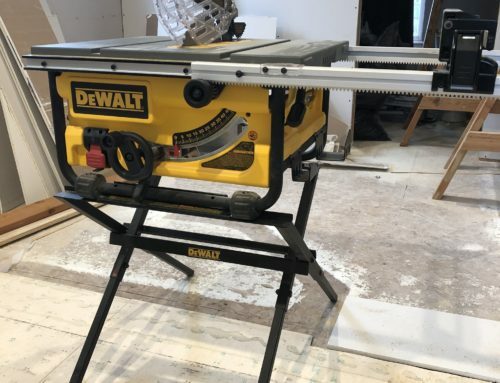 We have used Dewalt table saws for as long as they have made them. We have found them all to be outstanding in their respective categories. 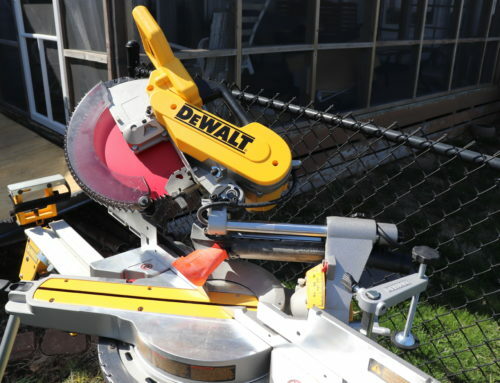 This is one of the earlier compact job site saws with a full 15 amp motor. It also runs a little slower than some of the newer saws at 3,850 RPM but it doesn’t seem to affect cutting power or speed. 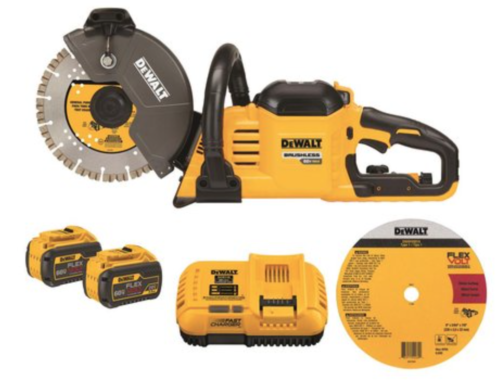 Even though it is a compact saw it has most of the features of the full size saws. 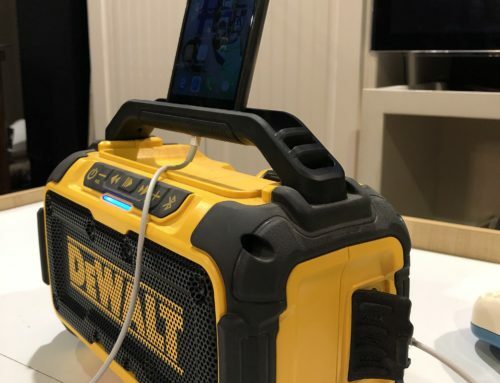 It has the open steel frame that Dewalt has been famous for many years now. It is a light weight yet TOUGH design made for abuse of a job site construction setting. I can’t tell you have many table saws I have broken by throwing them into the back of the truck. They were all made of plastic. Some of the brands were Craftsman, Makita, Delta and Dewalt. The 3 1/8″ cutting depth will not get you through a 4×4 in one pass but it will rip 2x material all day long without breaking a sweat whether it’s a 90 degree or 45 degree bevel. 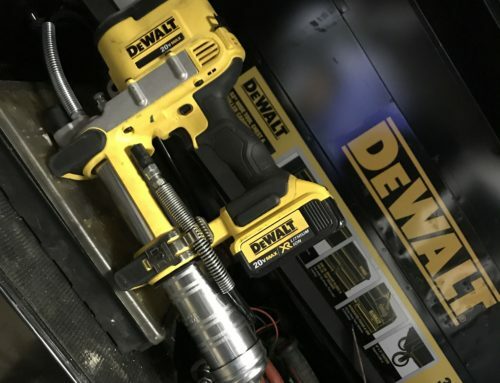 This model has the rack and pinion fence system that Dewalt has become famous for. It securely holds the front and back of the fence parallel to the blade. At the time of this article no other portable fence system on the market can beat it for repeatable accuracy. It features a 24″ rip capacity which will get you to the center of any 4×8 sheet. The fence has a fold out feature which keeps the material flat. The scissor fold stand it comes with is plenty strong and stable. It has super fast set up from your truck to the cutting station. What I like about the stand is you can mount your saw to it permanently with bolts or leave it loose. When you use it on the folding stand loose it is still stable and secure even without the mounting bolts. To me this gives the best of both worlds. You can use it on the stand when you prefer but you are not tied to it. You can take just the saw for a few cuts. This represents a solid value for a full featured compact job site table saw. Great article! I have a larger version and appreciate it very much. I used a very junkie table saw for many years because my business wasn’t in a position to buy a good one. This year I invested in a good saw rather than a cheap new one. It was one of the best choices. I had no idea a table saws construction could improve my performance so much. It is awesome. The fence, the smoothness, the power, the accuracy above all. It’s fantastic. A small detail is the placement of the push stick, I didn’t think I would like it, I now find myself using a push stick more than I ever have. The fence option for narrow pieces is also fantastic. I can keep my hand low and to the side of the narrow piece instead of hugging my hand around the fence and sliding it. I also didn’t think I would like that change, but I have found I used the secondary fence more than I thought. It does seem an eighth inch too high though when in the lowest slot for ripping plywood. It doesn’t make much difference at it’s widest, but for a piece just wider than the saw table, it holds the furthest edge up off the table edge a bit. Maybe it’s adjustable and I haven’t figured that out. The factory square of the fence is uncanny. I looked at a new Hitachi at Acme tools before buying the DeWalt and the Hitachi was way way out of square. That sold it for me and I have never looked back thanks for all you do for this community!